Home \ Tag "3 Turn Productions"
I'm as surprised as you are. 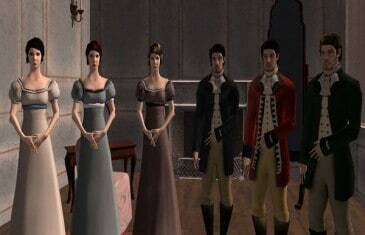 3 Turn Productions today announced the the Jane Austen themed social MMO game Ever, Jane has successfully reached its Kickstarter funding goal of $100,000. 3 Turn Productions recently launched a brand new Kickstarter campaign aimed at bringing the world of Jane Austen to the MMO scene.